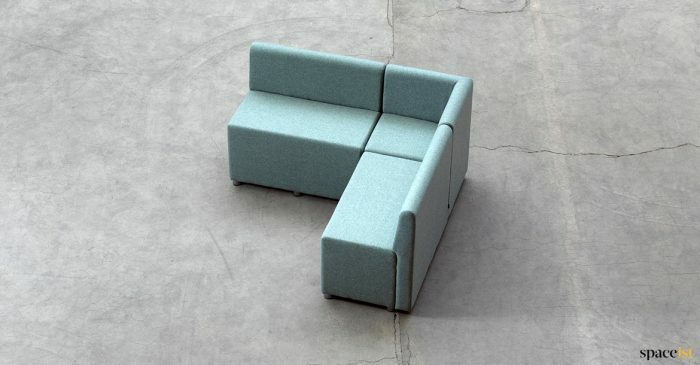 Stay flexible, with customisable modular seating cubes for all spaces. 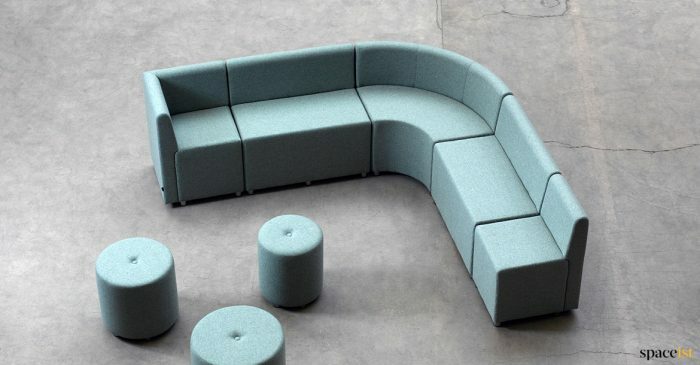 Our made to order modular seating allow you to create your own bespoke combinations, whatever the size or shape of your space. 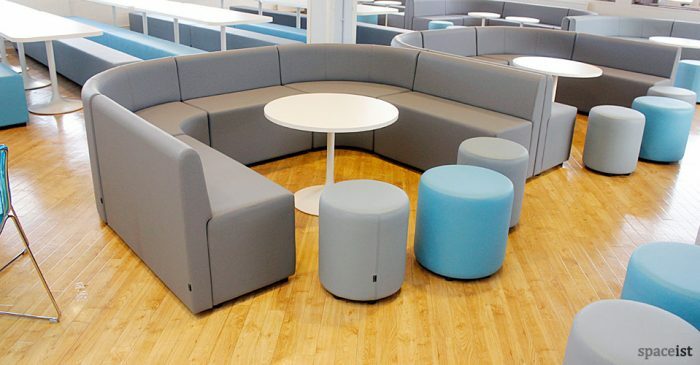 No more dragging heavy furniture out of the way to accommodate impromptu meetings or group activities. 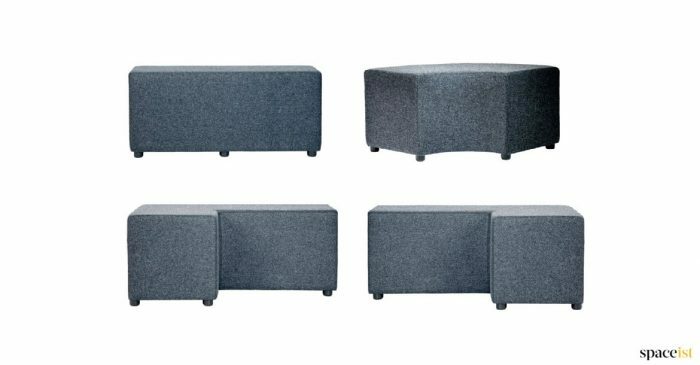 And it’s just as simple to split seating up into smaller or quiet areas when required - easily change things around whenever you like. 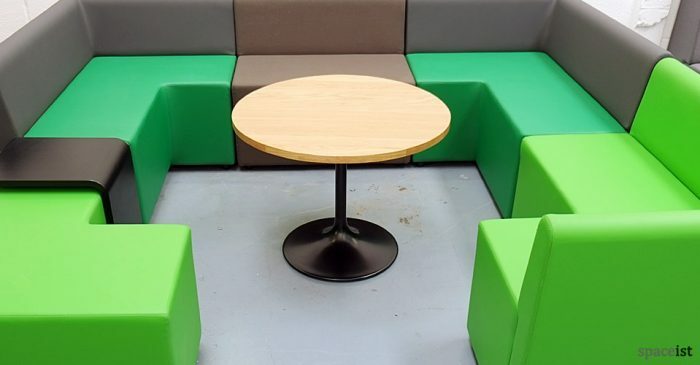 Designed for high use areas and available in a large range of colours and configurations, our cubes combine to create stylish booth seating, benches and curves. 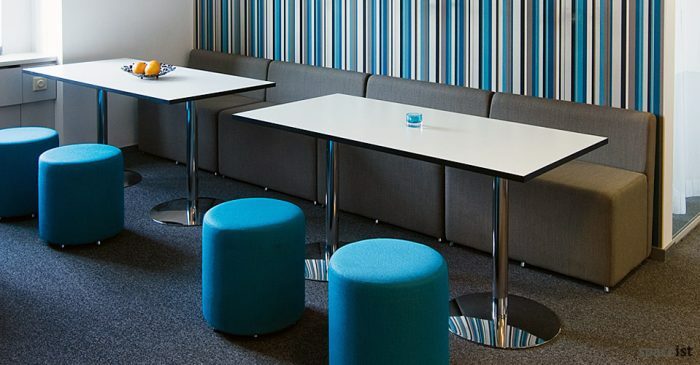 We’ll help with space planning and design to ensure that you select the best combination for your individual or communal needs. 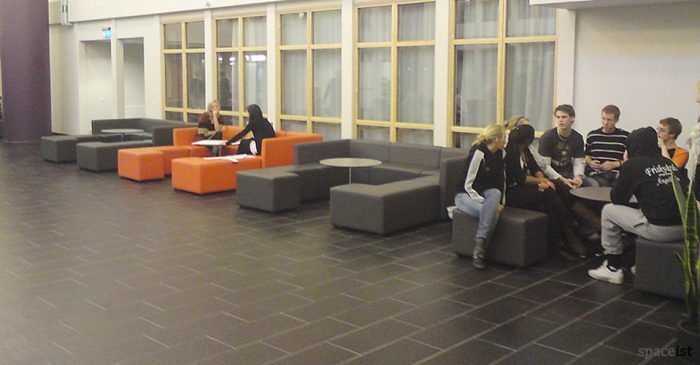 Made in Sweden, hard wearing and easy to clean and maintain, with 5 year warranty. 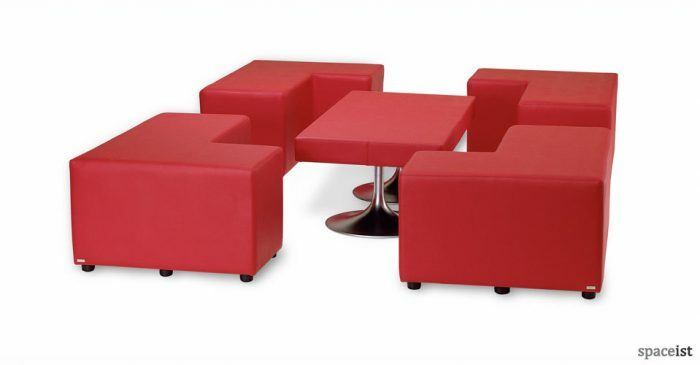 Modular Cubes upholstered in red and silver grey leather. Large number of shapes plus vinyl and fabric colours. 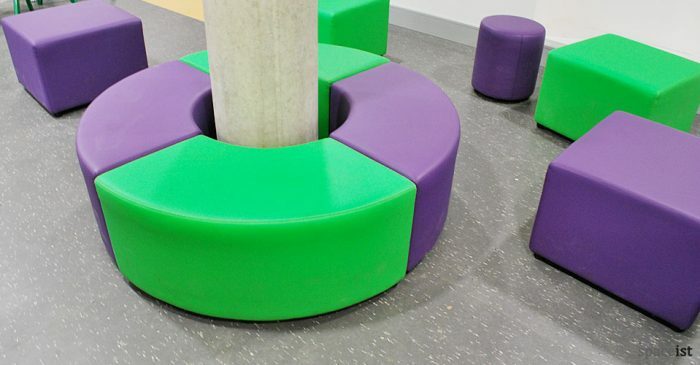 Round pillar bench upholstered in green and purple contract vinyl. 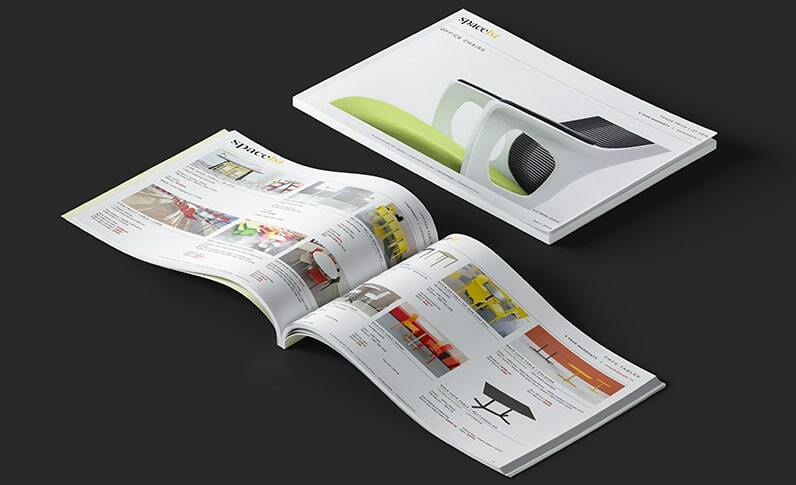 Available in over 60 bright colours. 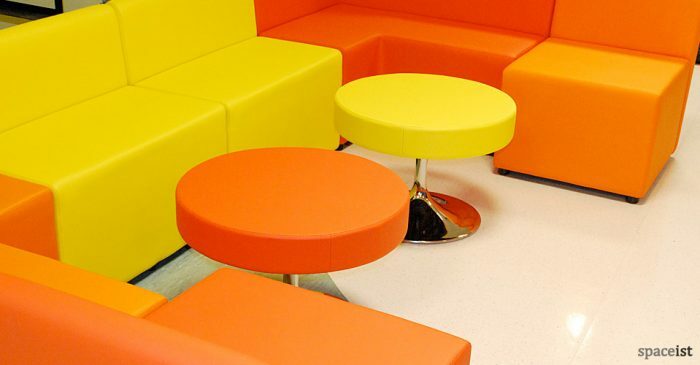 Hard wearing vinyl cubes in over 60 bright colours. 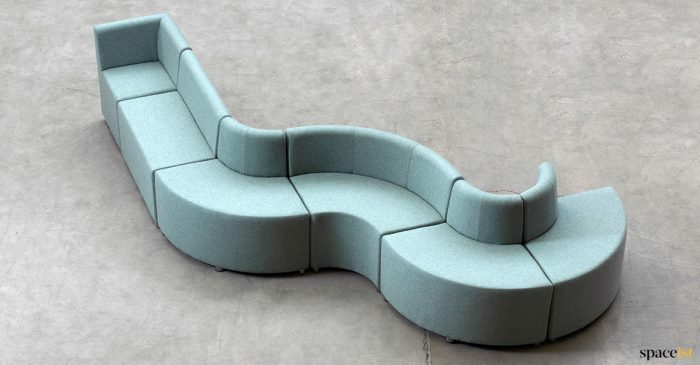 Shapes can be made into many different arrangements. 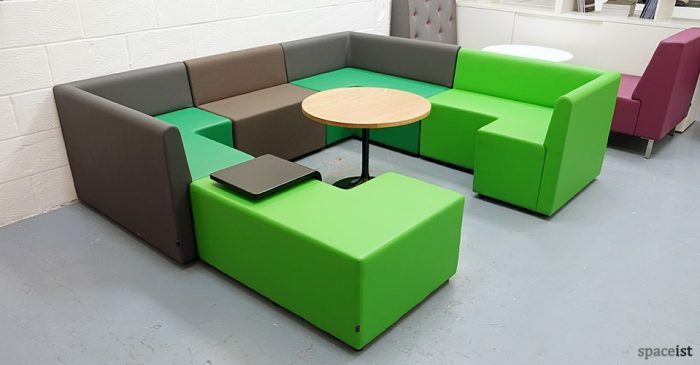 Green modular staff cubes in red, blue, orange or pink plus a large selection of colourful fabrics and faux leathers. 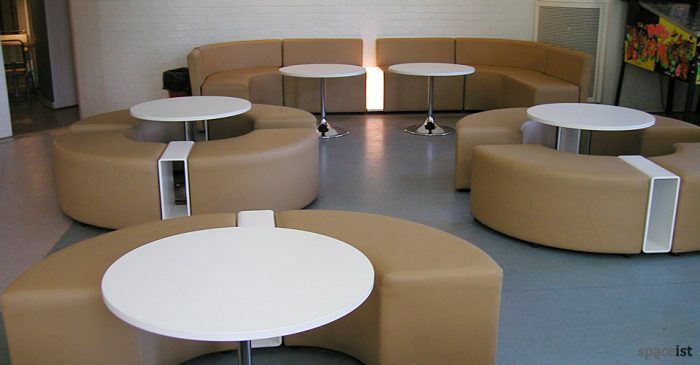 Modular bar circle seats in hard wearing vinyl. 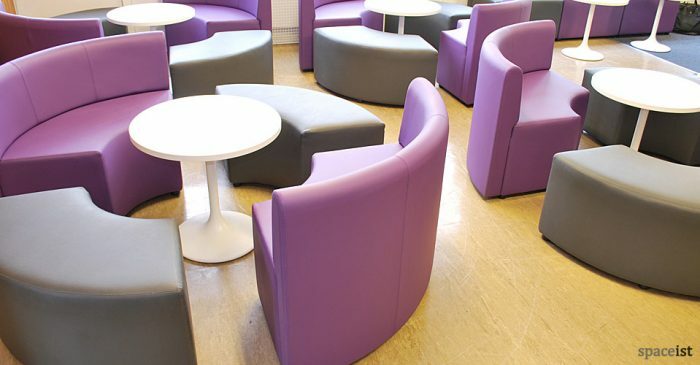 Large number of shapes and vinyl colours to choose from. 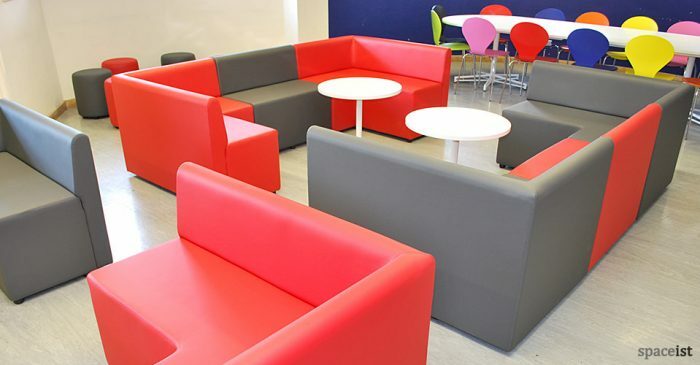 Multi-coloured curvy cubes. 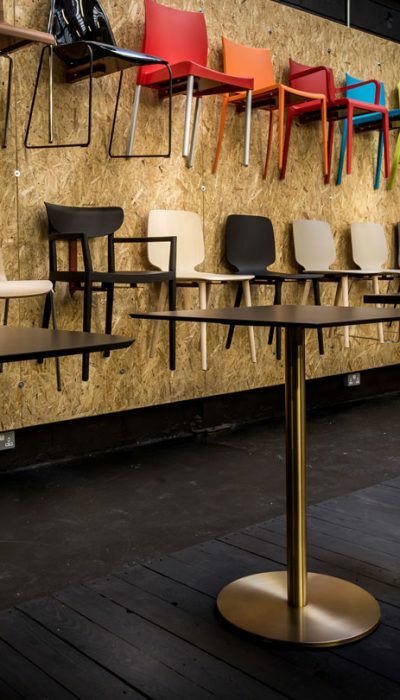 Shown upholstered in vinyl with white dividing shelves and white trumpet tables. 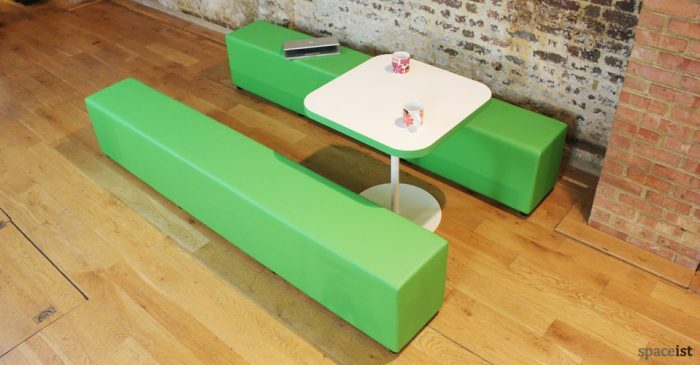 Green U-shaped booth in hard wearing wipe clean vinyl. 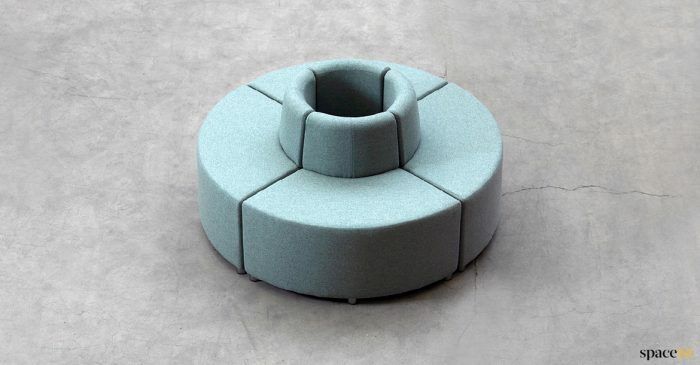 Shown with Trumpet round coffee table. 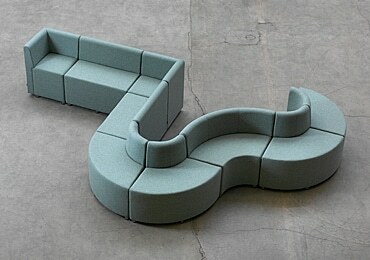 Dark grey modular canteen bench. 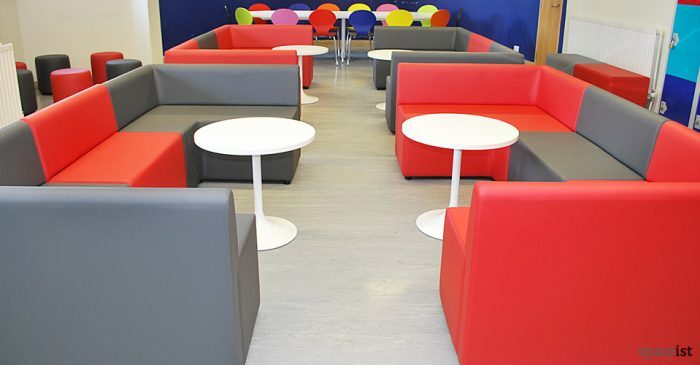 Colours include red, blue, orange or pink plus a large selection of fabrics. 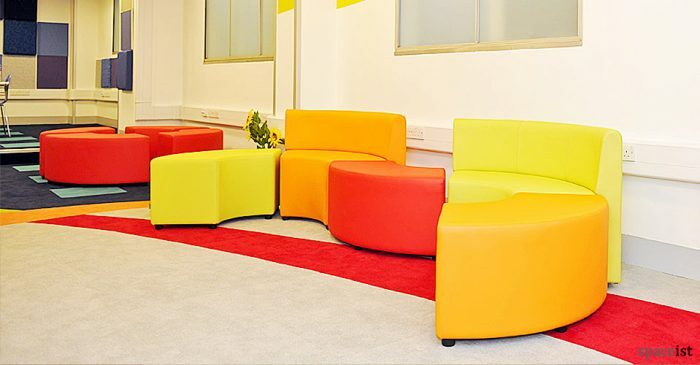 Multi coloured cubes in red, orange & yellow hard wearing wipe clean vinyl. 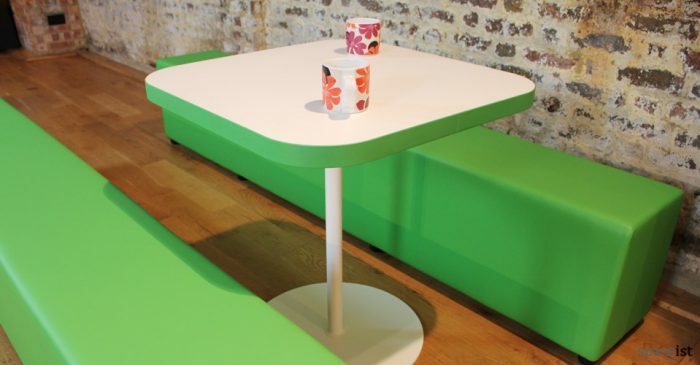 Shown with vinyl padded table. 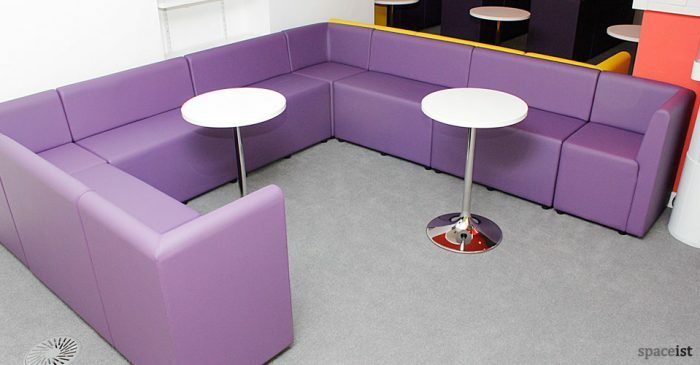 Purple round booth with and with-out vinyl back rest. Wipe clean vinyl comes in red, blue, orange, pink, black or white. 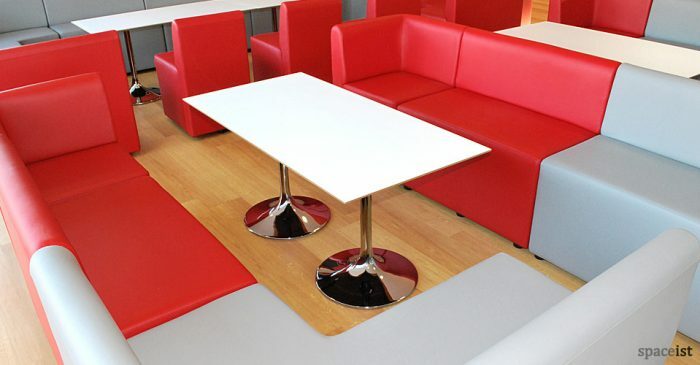 Red and dark grey booth seating covered in wipe clean vinyl in red, blue, orange, pink, black or white. 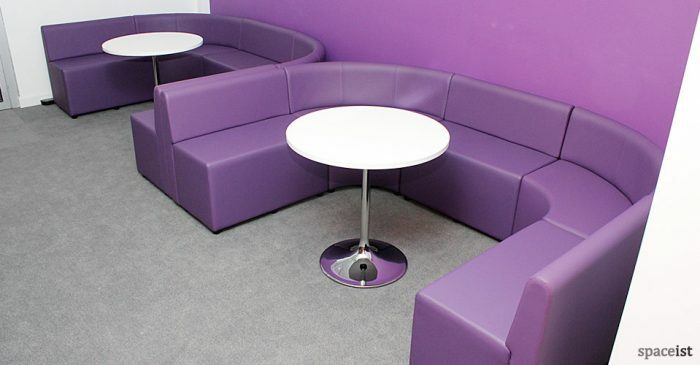 Purple rounded booth breakout seating. 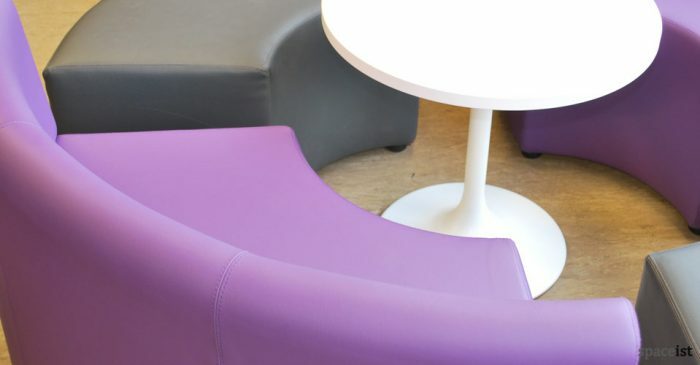 Vinyl seat colours include red, blue, orange, pink, black or white. 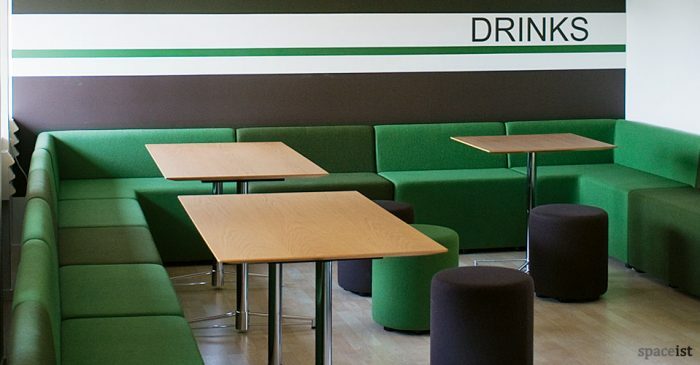 Long green upholstered canteen bench. Seat also comes in red, blue, orange or pink plus a selection of vinyls. 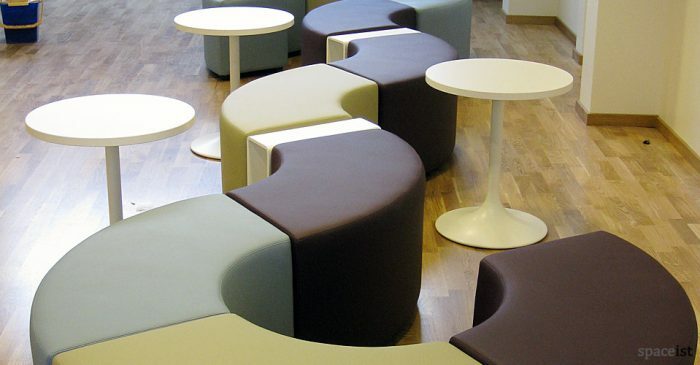 Wavy modular cubes in a hard wearing wipe clean faux leather. Shown in orange, red and yellow. 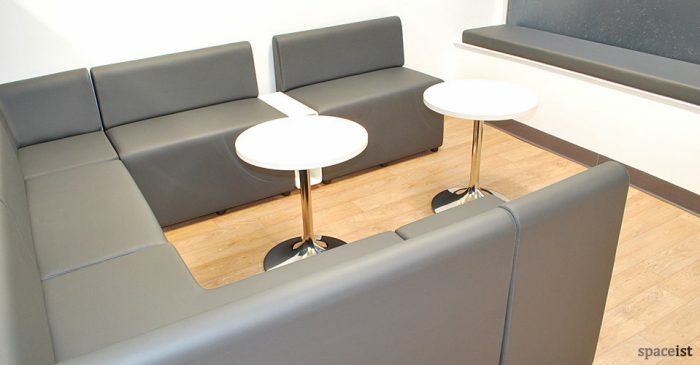 U-shaped grey hard wearing wipe clean vinyl. 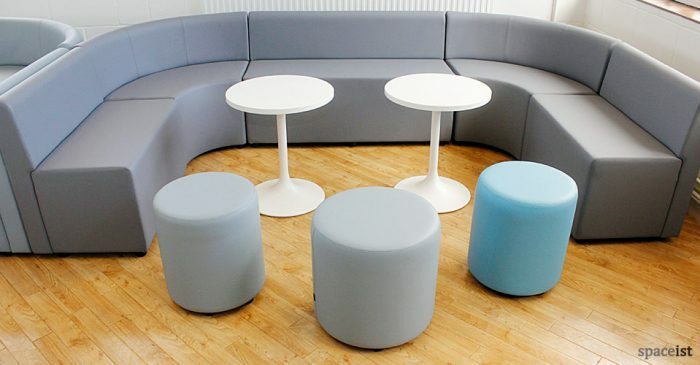 Shown with vinyl round cubes and white round table. 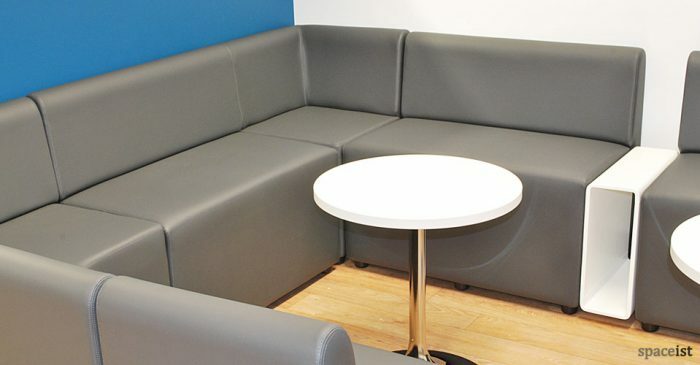 Square vinyl soft seating with padded table. 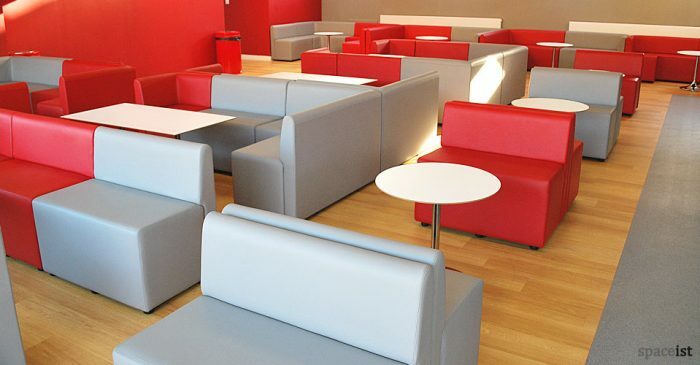 Vinyl colours include lime, green, black, grey, orange or red plus over 60 colours. 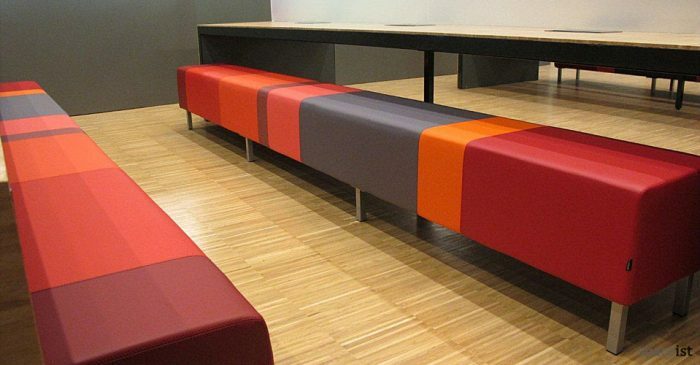 Long colourful stripey bench with chrome base. Available in over 60 colourful vinyls. Shown with JB-45 table. 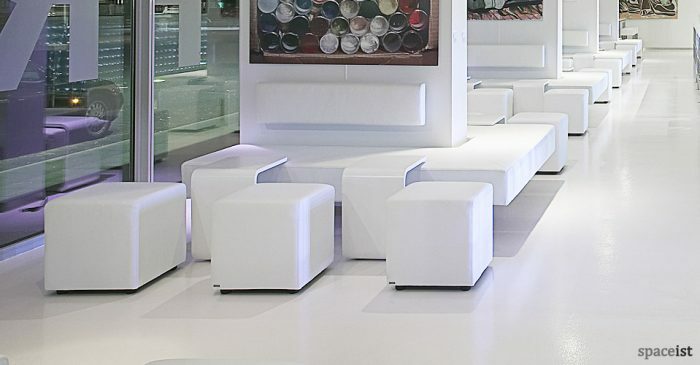 42cm cube in white faux leather. 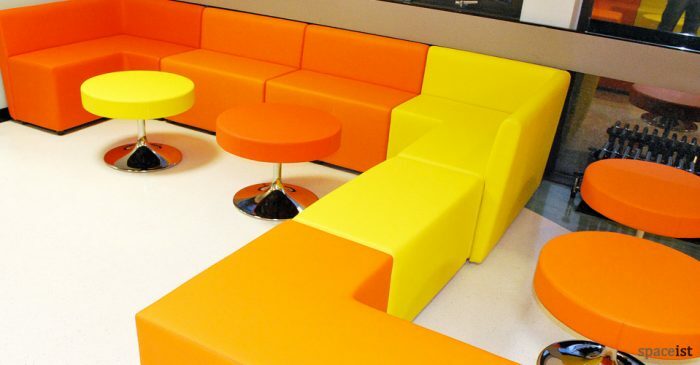 Colours include red, blue, orange, pink or purple and over 60 bright colours.